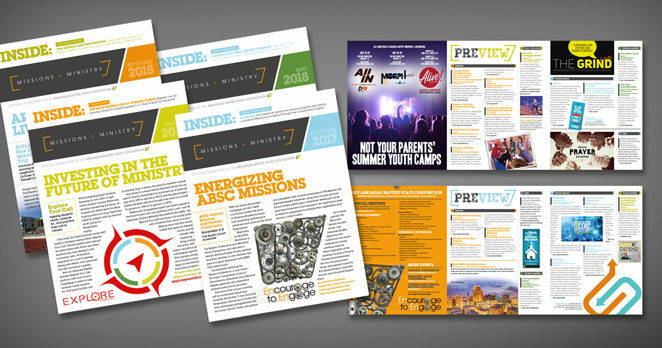 Eternity Communications produces both a print newsletter and e-newsletter for the Arkansas Baptist State Convention. This client recognizes that it takes a diversified communications portfolio that includes both print and digital media to effectively reach all target audiences. By the way, the Arkansas Baptist print newsletter, designed by Eternity, recently won First Place from the Baptist Communications Association.